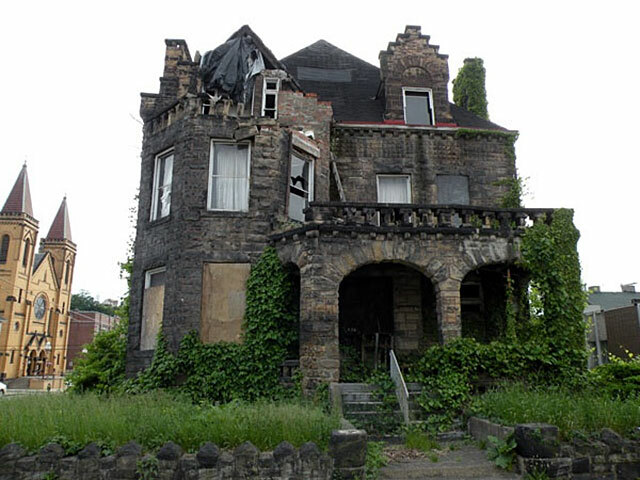 The Hitzrot House, also known as the McKeesport Castle. Built for Dr. Henry W. Hitzrot in 1892 by Frederick C. Sauer in McKeesport, PA. After Hitzrot’s death, the house was purchased by the Fraternal Order of the Eagles in 1911. The Hitzrot mansion was never known as the McKeesport Castle. Dr. Hitzrot sold the mansion in 1900 after his first wife passed and he remarried. Dr. Hitzrot passed in 1906.